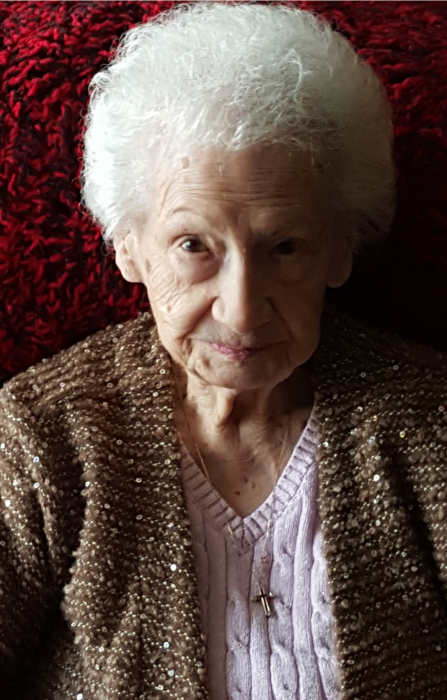 Obituary for Doris J. (Burkholder) York | Knight-Confer Funeral Home, Inc.
Doris J. York, 95, of Cogan Station, passed away Friday, Nov. 9, 2018, at her daughterás home. She was preceded in death by her husband of 48 years, Raymond E. York. Born Aug. 28, 1923, in Williamsport, she was a daughter of the late Dorsey J., Sr. and Olive E. (Columbine) Burkholder. Doris was formerly employed at GTE Sylvania and was owner of St. Boniface Inn. She attended Heshbon Park United Methodist Church. Doris was a talented artist and painted beautiful oil paintings. She enjoyed fishing, word search puzzles and playing the organ. Surviving are her two children, Sally A. Shaffer, of Cogan Station, and James P. "Jim" Shook (Christine), of Huntingdon; a sister, Eva E. Scruggs (Wayne), of Williamsport; a brother, Billy M. Burkholder, of Williamsport; seven grandchildren; ten great-grandchildren; and nine great-great-grandchildren. In addition to her husband and parents, she was preceded in death by a great-granddaughter, Jessica Clair; two brothers, Emerson Burkholder and Dorsey Burkholder, Jr; and a sister, Marjorie Burkholder. A funeral service to honor the life of Doris will be held 1 p.m. Saturday, Nov. 17, at Knight-Confer Funeral Home, 1914 Memorial Ave., Williamsport, with Pastor Cody J. Phillips officiating. Burial will follow in Twin Hills Memorial Park, Muncy. The family will receive friends from noon until time of service at Knight-Confer Funeral Home. In lieu of flowers, memorial contributions may be made in Doris' name to the SPCA, 2805 Reach Road, Williamsport, PA 17701 or at www.lycomingcountyspca.org or to the Susquehanna Health Foundation, c/o Home Care and Hospice 1001 Grampian Blvd, Williamsport, PA 17701.